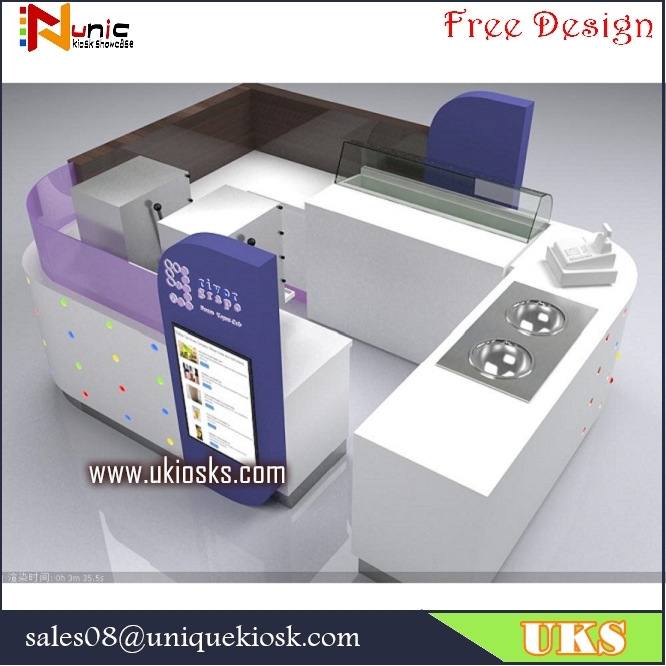 warm welcome visit out food kiosk, let me introduce this kiosk to you. 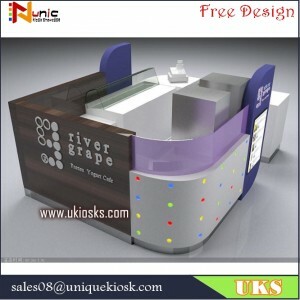 This is a food kiosk, can sale juice. ice cream ,bubble tea and so on, mainly material is MDF, surface finish is painting, artificial stone work table, can with a single sink if you need , your Logo, light box, Stainless steel skirting , all of anything about this kiosk can customized it for you, size color can customized it for you, any ideas about this kiosk design can add this kiosk. 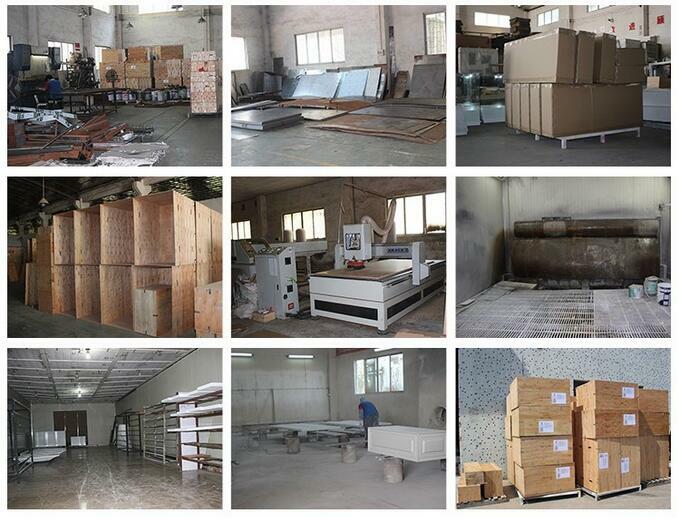 it will be unique one kiosk for you. HOW TO MAKE DESIGN FOR THIS KIOSK TO YOU. confirm the ice cream kiosk design, drawing construction plan, payment 50% deposot, 50% balance before shipping. 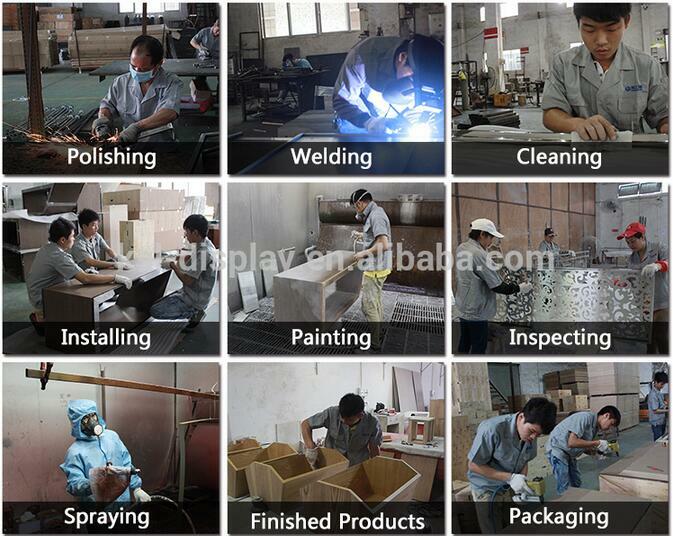 we have specialized in all kinds of wooden kiosks and showcase for many year . 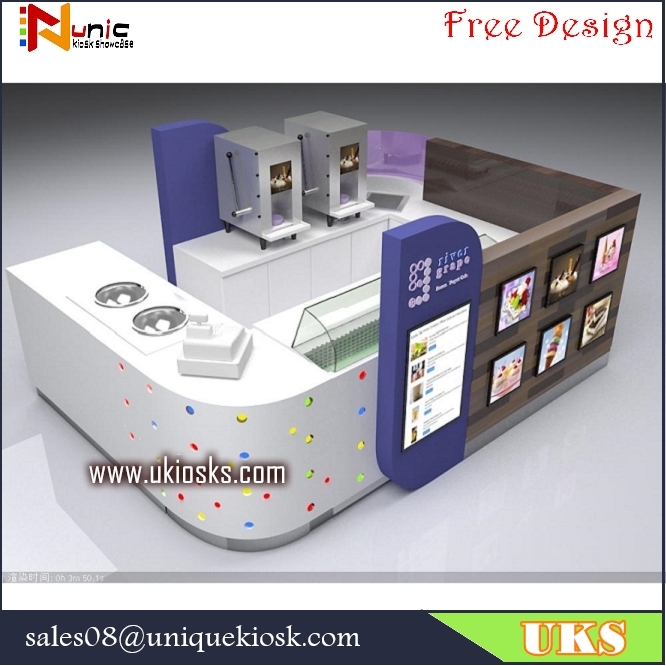 Your custom design can be finished in 3 days after knowing your detailed requirements.you can also offer us your drawings,we can do kiosk according to it.